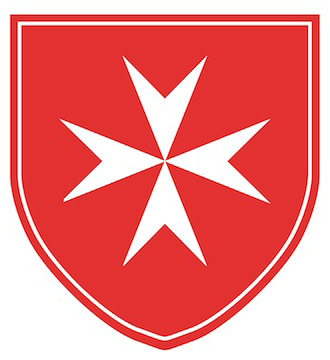 Established in 1920, the Knightly Order pro Merito Melitensi is given in recognition of those activities that have conferred honour and prestige on the Sovereign Military Order of Malta. It is mainly awarded to non-members of the Order. This Order is awarded regardless of religion, hence those granted it do not automatically become members of the Order of Malta. The Order pro Merito Melitensi is awarded both by Decree of the Sovereign Council and by motu proprio of the Grand Master. 13 October, feast of Blessed Gerard, Founder of the Order. Excluded from these provisions are the motu proprio awards and those to authorities and officials of the Order of Malta when terminating their responsibilities and offices. Cross with Swords pro Merito Melitensi. The Gold Medal is reserved for those who have assisted the Order of Malta putting their lives at risk. The Decrees for assignments and promotions in the various grades of the Order pro Merito Melitensi are entered in the General Register of Decrees and their details are transcribed in the Roll of the Decorated. The assignments are published in the Official Bulletin of the Order of Malta.